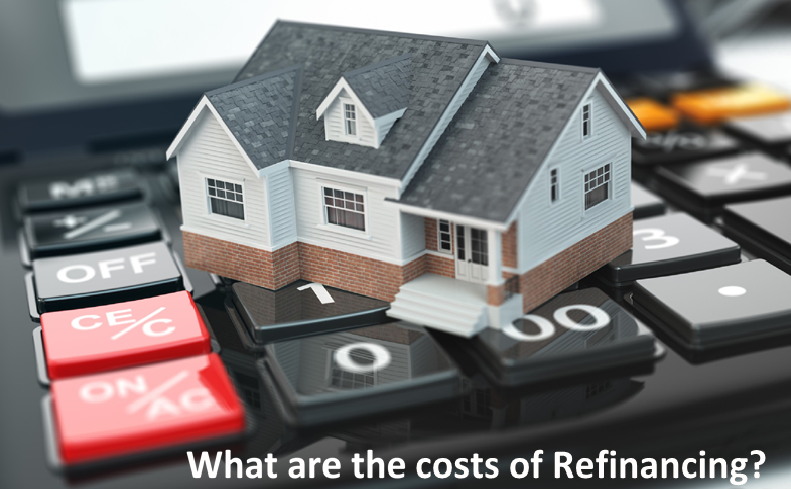 People often think refinancing is difficult and expensive. It doesn’t have to be. Lenders are NOT allowed to charge exit fees on loans taken out after 30 June 2011. If you did get your loan before 1 July 2011 your lender will be able to tell you if exit fees still apply on your loan. However, if you are on a fixed rate loan, be aware you may need to pay a break fee. An Establishment fee may also be known as ‘application’, ‘up-front’, ‘start-up’ or ‘set-up’ fee. This fee is a one-off payment when you start your loan. Lenders mortgage insurance is an insurance that Lenders take out to protect themselves from borrowers not being able to repay their loan. It only applies if there is less than 20% equity in a home. If you paid LMI on your existing loan, before refinancing you will need to ensure that there is more than 20% equity in your property to avoid paying LMI again. These are sometimes also known as administration fees. They may be a monthly charge or may be a fee that applies to a specific service. Not all Lenders charge ongoing fees. A Mortgage Professional will work with you to find out your requirements for a loan and will then present you with a comparison sheet of at least three Lenders that meet your needs. This comparison sheet is set out to allow you to easily compare loan features, fees, interest rates, comparison rates and other important information. They will also explain to you the advantages and disadvantages of refinancing so you are able to make an educated decision on what is right for you. Home Loan Deposit Advice: How much do you need? Ready to buy your own home but not sure how much deposit you need to make to get a loan? Relax! There are plenty of options. If you are a first time home buyer, it would be a relief for you to know that there are no established rules that determine the minimum amount of home loan deposits. The amount of deposit you need to make depends entirely on your chosen lender and their lending criteria. Now, the question is, if you can get a home loan with lesser deposit, why is there a norm to make a 20% deposit? And, more importantly, how do you decide the right amount of home loan deposit for yourself? How to calculate your home loan deposit requirement? The answer is simple. The key to determining the right home loan deposit is to recognize your own affordability. As a general rule of thumb, the bigger deposit you make, the lesser you have to borrow. The lesser principal amount further means that you would be liable for lesser monthly repayments. In addition to this, lenders equate the amount of deposit to the risk profile of the borrower. If you make a larger deposit, the lender is more likely to perceive you as a reliable borrower. Thus, in turn, you would be in a better position to negotiate a lower interest rate. You can use a Borrowing Power Calculatorand Loan Repayment Calculator to evaluate your affordability and liability in terms of monthly repayments and total interest to be paid. Most people are able to afford a 20% initial deposit, making it the national average. Although, don’t fret in case you cannot make a 20% deposit. As mentioned earlier, there are several lenders who accept a significantly lower deposit. However, you are required to pay LMI (Lender’s Mortgage Insurance) in such cases. Since approving a loan with a deposit less than 20% is a huge risk at the lender’s part, they need some sort of protection. So, you are required to make a small lump sum payment as insurance at the time of loan settlement. This is known as Lender’s Mortgage Insurance. It protects the lender in case a borrower defaults on his or her home loan. Good news is that if you have a borrowing capacity, then lender will allow you to capitalize LMI in your loan. Most lenders approve home loan with a smaller deposit and dissolve LMI in case you bring a guarantor into the equation. You can use property of a family member as a security and payback guarantee. You can refinance investment loans to apply for a top-up loan or borrow cash (up to 80% of your current investment property’s value) to make a deposit. This will reduce your financial burden, allowing you to make a larger deposit. Are you a small business owner who’s willing to expand? Well, here’s a financial advice for you! It’s exciting when you decide to elevate your business and while doing so, first thing you’ll come across is commercial property loans. Nowadays many Australians are also opting to own their business properties rather than taking it on lease. One of the main reason for the same is favorable interest rates. Moreover, the business flowers with multiple benefits when the property is self owned, indeed. Owning your property provides security and also keeps you free from any restrictions of landlords. With the help of an expert Mortgage broker in Australia, one can surely bring ups in the whole process of retaining the easy loans. Well, let us help you in expanding your business with a step by step process! Self research on lending market: Call yourself on positive side with options of lending platforms,even though the income on pay slip varies. Formal to informal sources provide ways to get some good amount, having pros and cons on their own. Now, it’s your own decision to click on the right option based on your business needs; but for all that a good research is must. If you have even a cliche doubt, do not hesitate to talk to any business loan broker, who will guide the research and show you right path surely. Have you compiled your financial documents in a file? Before you even begin to think about expanding, compile the documents of past 2 years to show a proof of income. Of course, without this, you are in no profit. These documents must include personal returns, business tax returns, financial statements, and Australian taxation office notice of assessment. After all, your good balancing and documentation reflects own personality and lets the sources pass the commercial property loans easy. Drop in interest rates: Hurray! Gone are the times when interest rates were so high that a scary look on the face of borrowers was evident. Even if asked to any of the Mortgage broker in Australia, the first thing heard is easy interest rates, and right after this, suggestion would be served to own the business rather than lending it every time you wish to expand. Think deeply, and realize the depth of it. Business without growth is nothing! Once it paces up, even with small steps, the winning begins from then. And for the same, bring the expert help within the zone today! Once fixing up an appointment with business loan broker, there is a sigh of relief within, as the stress is half-relieved then and there. Yes, lending the commercial property loans are quite typical than residential loans, but no worries! Expert help provides you not only with easy finances support but also back up with moral boost to make the dream come true. Speak with them openly, solve the issues together, and no matter what, if you are positive to bring the change, no one can ever stop you. Let your business rise high! Have you taken a home loan? Has there been a change in your personal or financial status that makes it difficult to repay the existing loan? Are you simply looking out for a better deal on your home loan? Refinance Home Loan process is the answer to get a new mortgage for repaying your prevailing outstanding loans. As a borrower, you can make a choice whether you wish to apply for a refinance with the same lender or approach a different financer. However, you need to do your thorough research or consult a Mortgage Broker who shall assist you in drawing comparisons by reviewing the present market. Since you have already been eligible for an initial home loan, refinancing process could be less complex and much easier to get processed. Why would you need to refinance your home loan? When is the right time to opt for refinance? The process of refinance is subjective and individual scenarios decide whether it suits you or not. While it is not uncommon for people to refinance their home loans just within 3 months of buying their property, you do need to weigh your aces and negatives diligently before opting for the same. A loan or a mortgage is probably the biggest expense you will ever have, therefore, it surely pays to get professional assistance and advice for the same. A Mortgage Broker is your loan expert. Generally, their role revolves around assistance with lending, however, they do become a critical link in giving you skilled advice to match your needs with a suitable lending solution. These specialists have access to a broad range of products and are accredited with the several lenders to offer their respective products. Most mortgage brokers do not charge you a fee for their valuable advice. In brief, you will be able to get thorough guidance on the loan process, alongside comparing the suitable loan products, which meet your financial needs. Is your broker a salesman or an educator? Mortgage brokers provide highly useful services while searching for Home Loan in Australia. A qualified brokers can explain you with best options, balance your essentials with lenders’ products, and also assist you with paperwork and loan application forms. A great broker will be the one who would be more an educator and adviser than a sales person. Besides their expertise, the brokers have to adhere to higher education and ethical standards aligned to government requirements. Why Professional Guidance is Important? Its time to get serious when you give yourself the best chance of keeping your home, or selling it on your own terms. Contacting your lender or getting help is not really an option, but a necessity. An expert advice will not just assist you with your mortgage repayments but also save you from traps to avoid slipping further into any debts. Your mortgage broker acts as your personal loan concierge and does all the work for you. On your behalf, he does a Home Loan Comparison for you, applies for a loan , hunts the lowest mortgage rates, negotiates terms and conditions and makes the loan approval for you happen. It can take hours to apply for different loans, and then there’s the back-and-forth communication involved in underwriting the loan and ensuring the transaction stays on track. A mortgage broker can save you the hassle of managing all those daunting details. There are several different types of fees involved in taking on a new mortgage or working with a new lender, including origination fee, application fees, appraisal fees and others. Most mortgage brokers have long developed relationships with several local, regional and even national lenders, which allow them to tap those connections and perhaps get some loan fees waived for you. Some banks and lenders work exclusively only with brokers, and that compels you to get qualified for certain loan products, merely if your mortgage broker has a good relationship with those lenders. Some lenders work exclusively with mortgage brokers and rely on them to be the gatekeepers to bring them suitable clients. A mortgage broker will give you accessibility and one-on-one attention, which you likely may not find if you bypass and work directly with a loan officer at a large bank. Anyone who has recently tried to get a mortgage directly from their bank may have found themselves faced with a wait of weeks for an appointment. Spend some time contacting lenders directly to obtain an understanding of what mortgages may be available to you. Work with a reliable mortgage broker with solid references and ask them to guarantee their loan estimates. The three key things to look for are the number of loans your broker offers, the amount you will be charged for their service and what kind of reputation they have. If you want to test real returns on a property, have a long-term goal, and the Australian property market has undoubtedly performed consistently well over the past decade. The returns on real estate speculations have inspired more people to consider buying property purely from an investment perspective. * Can you afford the same or are you going overboard? * How would the rental returns be? * Can you avail an investment property loan easily? Always remember, a good investment loan can make the process of acquiring a property for investment purposes open and stress-free to manage during the life of your investment. However, investment loans can vary in nature and you need to decide your end goal before you choose your repayment plans. Use Property Investment Tools to make sure you know how much payments need to be made at what duration of time. This is the simplest type of loan usually used by owner occupiers who are paying the loan with the intention of eventually owning the property. Every regular payment is divided with proportions of interest and a section of the principal borrowed. Interest-only investment loans are a smart tool for property investors. Avail an interest-free investment loan if you are strategizing to gain maximum returns on investment. If you do not plan to fix your loan, your interest rate will move with changes to market interest rates. This means the interest rate can rise or fall over the term of your loan resulting in rate changes for your repayments. * Can make budgeting harder as loan repayments can increase when interest rates change. * If you are not prepared for a rate rise you may have trouble keeping up with repayments. * You do have a choice to make repayments on either a monthly basis or you may not have to make a payment as long as you remain below the limit. An offset account is a savings account linked to your home loan account. Offset accounts work by offsetting up to 100% of the balance of the linked savings or transaction account against the balance of the linked loan. An offset account can reduce the amount of interest you pay on your home loan. Offset accounts are much more effective if you put money in and leave it there. Such types of loans are often a necessity for several small business owners who desire to purchase their own premises. However, commercial property loans do come with their own share of regulations of borrowing and repayments. The home loan lenders will allow buyer to borrow more than 90% of a property’s market price, however, when it comes to commercial property loan, you will need to pay up more cash upfront. Mortgage brokers are trusted advisers who have the power to help you realize your financial and lifestyle dreams. A Mortgage Broker in Australia helps you begin with the process of borrowing a loan and then getting through it. Whether you are a first-home buyer or an experienced buyer, you may have numerous questions while meeting with a Mortgage Broker. The process may be all the more difficult and confusing if you are doing it for the first time. To make the process easier for you, we have a list of a few things that you must confirm with the mortgage broker before beginning with the process. Be ready to explore- The major difference between working with a bank and a mortgage broker is that a broker put you among multiple options. Each lender would have his own set of policies, with varying interest rates, etc. To make a wise decision in such a scenario, you must be aware of the options you’ll be presented. Mortgage brokers have a huge network of small and big lenders, including banks, private lenders, and other financial situations, etc. that present various options to you. You may also use tools like Home loan calculator to compare among the various options that you are being offered. Keep the documents ready- In order to avoid the long mortgage process, you must keep all the documents that you might need in the process ready beforehand. For instance, in the first meeting, the broker might ask for your finances so as to gain an idea of how much loan amount you are eligible to borrow. To make the process smoother, you are advised carry your financial documents to the meeting. A few documents that your broker is likely to ask you for include an income proof, bank statement, credit card statement, identification proof, tax returns, etc. Being over-prepared for your meeting with the broker is never harmful. It will instead make the process smoother for both the parties. Clear all your queries- While meeting with a Mortgage broker, you are expected to ask a lot of questions. So you must not hesitate in clearing all your queries with him. It is instead important for the broker to understand your needs and goals from the loan that you are borrowing and the property that you would be buying. Even the broker would ask you certain questions to understand your financial goals and current situation, what you are looking for in a mortgage, etc. This works as your chance to clear all the doubts that you have always had. To conclude, before meeting with your broker for the first time, you must research the market first, prepare a list of questions that you have had in your mind, check the lender’s panel on your broker’s list, have a look at the commissions offered, explain all your needs and understand your options to the broker. You may also ask the Mortgage Broker in Australia to get you an estimate on the interest rate that you would be paying using tools like Home loan calculator, etc. Preparing yourself with all these points before getting in a meeting with your broker will give you all the information that you might need and ease the process of borrowing between you and your broker. You may also get in touch with the lending specialists from Your Finance Adviser for proper assistance. What are the 4 Ps while purchasing a home in Australia? White sandy beaches and bright sunny days all year round! You could have been enchanted with Australia and you want to call it your abode. Buying a home is one of the biggest decisions you will ever make so you need to ensure everything goes as per plan. You could either be a first-time home buyer, or starting to look around for a new one; it always helps to know what to look for when you venture out for home hunting. There are several parameters that one needs to bear in mind, however, we let you explore four-Must Dos before you sign on the dotted line. The purpose or the reason of your purchase will determine many of your decisions. Are you going to be the occupier? Or will you purchase the property and then lease it out? Is it a forever home or a transitional one? Whatever seems to be the driver, the type and condition of the dwelling you buy and how much work you are prepared to do to improve it, will only be successful if you have clarity on the tangible goal for investing into real estate. One of the most important decisions we will ever make in our lives is where to live. Location always dominates when it comes to buying properties. Ideally it should be the most important consideration, because the structure and layout of any home can be eventually altered. The location of your home determines many things that directly affects and influences a home’s value. These items include the overall quality of life, school choices, commute times, social engagements and much more. It is often better to adjust your price range in order to find a home in a better neighborhood, than to compromise on this aspect. It is the location that will ultimately impact your everyday life and your home’s future value. A great neighborhood will help resell your home because of increased demand, faster selling capacity and for more money than similar houses in less attractive areas. Right price point is another important factor because you could miss out on finding the right home. While an ideal price remains only a myth as many a times the seller won’t bend on the number that you desire. Further the purchase price is just one aspect of owning the home. You need to consider various other expenses, such as insurance, taxes, property association fees, etc. that will be associated with you future habitat. Remember the price of a home is only determined when a transaction actually takes place, else everything is notional. New business or expanding existing one? What are the Basics for Business Loan? Australia, home to a rich culture and a bustling economy, is a land of opportunity. Any worthwhile business idea, when funded well and executed the right way, should have a good chance at success. A business loan is what you need to begin with. There are different types of loans you can select from, taking into account the various kinds of businesses, business models and operational needs. Organisations that have poor credit or no collateral may also stand a chance to get a loan from a financial institution via alternative lending. The options are seemingly endless; but tread carefully! Banks are secure sources of finance given that individuals, families and enterprises deposit money in them. Since they are the primary options for business funding, they offer a wide variety of loan packages for companies, covering the amount needed as well as the ability to pay premiums. Stringent rules and regulations come with bank loans. These institutions make sure that a loan applicant is able to repay the premiums on time and with minimal threat to defaults. Secured Vs Unsecured Loan — Which one does your business support? The choice between the two rests with you and each has its own benefits as well as considerations. In this type of loan, you offer an asset for the loan, such as property. The interest rate will usually be lower than unsecured. In case you are unable to repay your loan, the lender may sell your asset and recover his loss. There is no asset or security offered for this type of loan and thus the business loan interest rate charged for this is much higher. While it allows you a flexibility of getting a loan without any collateral, it can be sometimes more difficult to get an unsecured loan approved. A term loan is receiving a single, lump-sum payment, which is the most straightforward and most common loan available. You will have an agreed period of time in which to pay the loan back and will be required to pay interest on the entire loan amount even if you don’t use it all. In contrast to a term loan, the Lines of Credit are revolving. With this facility, you are granted a certain amount of credit, which you are able to draw on as needed, only paying interest on what you use. When evaluating which of these products is best for your business, your business loan broker will explain what is most important for you keeping in mind your repaying capacity. You can access funds from your line of credit at any time, as long as you don’t exceed the maximum amount specified in the loan agreement and provided that you meet all the requirements set by the financial institution, like making timely minimum payments. If you need cash quickly, your best bet is going through a Mortgage Brokerwho will assist you with a line of credit or a short-term loan. Both of these products have very quick applications and, in many cases, allow you to receive funds in a matter of days. Invoice finance is also known as “factoring” is when you sell your invoices to a lender. The lender will forward you up to 80% immediately of the invoiced amount and become responsible for collecting payment. With this kind of credit you are benefitted with immediate injection of cash without the need to wait for payment of invoices. You may use the invoice finance for covering short-term finance issues. However, there could be a drawback since you will receive less than the face value of the invoice and this type of credit is usually more expensive than loan finance. Small business loans come in many forms today. Over 50% of Australian small businesses have a loan facility of some description. Confused Between Fixed, Variable and Split? FInd Out What's Your Type! There are several home loan packages available to choose from at any given time. Therefore, it can be challenging to determine which home loan type is right for your individual needs. This can be confusing, however, to make your task easier, we give you an insight into the fixed, variable or split rates which can help you decide your right pick! Fixed rate home loans have an interest rate that is fixed for a set period of time - often 1, 3 or 5 years. At the end of the fixed rate term, the loan will usually switch to the standard variable rate offered by the lender. This type of loan surely makes budgeting easier .You know exactly what your repayments will be, so you can plan ahead and set financial goals with confidence. You could emerge profitable if the rates rise in the interim as this will remain constant and, you will be happy knowing you are paying less than the variable rate. But on the other hand, if the rates drop, this means you may not benefit either. Variable home loans are very common loans offered by lenders and bankers. Most first time home buyers opt for this loan. This type of loan starts with a lower interest rate however, after a fixed time, the rate fluctuates according to the market index, as set by the Reserve Bank. It means the interest rates move up or down as per the market. Generally, repayment term is upto thirty years. You are allowed flexibility of repayment options, however, you could end up with fewer features than general loans. A split home loan gives you the best of both worlds. A split loan calculatorlets you fix a portion of your loan, and leave the remainder on a variable rate so you get a bet each way on fixed and variable rates. Fixed rates offer certainty about repayments, which is ideal for tight budgets, while also protecting against possible rate rises. Of course, as most things in life, split loan too are a trade-off. If the variable rate goes down, for example, the lower interest rates will only apply to the section that you did not fix! Variable home loans give flexibility to take advantage of low rates by making additional repayments to pay your mortgage plus the benefit of any further rate drops if your lender passes them on. When determining which loan type is right for you, there is no right or wrong solution and it totally depends on your individual needs. For whichever loan type you wish to opt for, always take guidance from your finance adviser who can help to find a competitive mortgage best suited for your requirement. What does the Real Estate Market have in store for the Australian Borrower in 2019? 2019 is likely to be an interesting year for the Australian economy. This year’s pending Federal election could present opportunities for judicious home buyers and investors with less competition at auctions. While people tend to sit on their hands in the lead-up to elections and despite market sentiment being unfavourable, the dedicated buyer is out there every weekend seeking to find that ideal property. The property market remains a hot topic especially when it comes to Sydney and Melbourne. Over the past year, a combination of factors has come together to turn the housing cycle down and create a perfect storm for house prices in both the cities. Australia has been the most popular investment destination in the Asia Pacific and it’s the perfect time to lay the groundwork to invest here. There are pockets of affordability in both Sydney and Melbourne. Entry-level two-bedroom flats are affordable on a typical income in a number of suburbs, and some suburbs even have entry-level three-bedroom houses that are relatively affordable for a couple. Simply enter some basic information and the home loan borrowing power calculator will give you an idea of how much you can borrow and what your monthly mortgage repayments might look like. However, this will be only a likely indicator while you will need to visit Your Finance Adviser for better understanding of the same. You could also be captivated to invest in a commercial property and unlike standard residential home loans, the pricing and lending policies for commercial property loan can be negotiated much better. Foreign citizens who want to buy or invest in residential property in Australia will now need to pay a stamp duty levy and, in some states, a land tax surcharge as well. As a result, its advantage for the first time homebuyers who get more opportunities to buy a property as the participation of foreign buyers at auctions has decreased. Real Estate Buyers Agents Association (REBAA) president Rich Harvey stated that with interest rates earmarked to stay low and with fewer investors in the market, 2019 would be a great time for home buyers to move up the property ladder. The interest rates could stay on hold in 2019. Negotiation will be crucial to securing a good deal so independent buyer representation from an accredited REBAA buyer’s agent is highly recommended. Investors who have finance approved, or are cash buyers, are encouraged to take advantage of softer market conditions. Being well informed about markets help investors spot opportunities quickly. There is no substitute for studying actual completed sales or rentals in a suburb across a three to six month period in order to paint a picture of a market’s direction. This is the best time to ensure you have an experienced financial adviser aligned with your ambitions for the year. The loan market is positive to relax the lending policies and improve efficiency for first-time homebuyers. 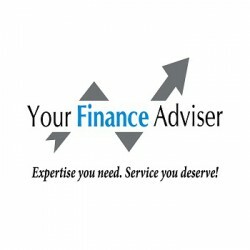 Your Finance Adviser will assist you to find best home loan in Australiathat suits your demand. Are you looking for smart tips on repaying your home loan? Buying a home is one of the most important financial decisions that we make. It involves a huge cost, perhaps the largest investment we make in our lifetime, however this ushers in peace and stability in one’s life. Most people who purchase or construct a home go for a Home Loan to finance their project. Repayment of the same is critical as it involves a substantial sum of interest that you need to pay over a period of time. Let us analyse some smart tips, which can help borrowers reduce their liability considerably. The Reserve Bank of Australia is set to hand down its first interest rate call of 2019 in February following 26 months at it’s current record low of 1.5%. It could be a surprise if rate cut was anticipated few months ago, however, most economists are now beginning to flag the likelihood for the same. A borrower must be vigilant to compare rates and push their lender for a better deal, or seek a fixed-rate loan. Alternatively, you could set up an offset account. Use a Split Loan Calculator and if you feel you are getting a raw deal, your may switch to other lenders with more competitive rates. You don’t have to wait for a windfall to prepay a loan. Small but regular payments can go a long way in chipping away the loan tenure. While making prepayments, prefer tenure reduction over EMI reduction as the former will lead to greater savings in interest cost, If you keep up with or make extra repayments on your loans, you can get rid of your debt faster. You will save money in interest payments and take a financial load off your shoulders at the earliest. If you have been wise with your earlier investments, liquated them to make prepayments. If the premiums are high and returns low, carry out a cost-benefit analysis to check if you can let go of the policy. The amount directed to premiums can come in handy for prepayment or bolstering your cash flows. If you neither have accumulated savings nor funds you need not feel depressed. After all, you take a loan only when you do not have the required funds upfront. But remember, when interest rates go up, do not extend the tenure, but maintain or, rather, increase the EMI amount. In case rates are reduced, opt for a shorter tenure instead of reducing EMI. This will help you pay off the loan faster. Your home loan might have had the best interest rate going around at the time you got it, but rates change all the time. Increased interest rates can leave you paying more than you once were, and nobody wants that. Knowing how and why interest rates change can help you negotiate to get a lower rate. Life is full of uncertainty and while taking a home loan in Australiayou must be prepared for anything that can impinge on your ability to pay your EMIs on time. This will not only place an additional burden on you and cause undue stress but also have a negative impact on your financial rating. Contact your Mortgage Broker at the earliest who will advise you on variable rate discounts, free offset and transactional banking along with refinancing options if you are not happy with your existing lender and are looking for better interest rate assistance. * Know your credit score- While applying for a mortgage, the first thing that the lender would check would be your credit score. This would help you determine whether you are in a healthy financial situation and if there are any issues with your credit history. The results will tell you if you need to work on your credit score or if it is just fine to borrow the loan amount as per your needs. * Reduce your debts- Credit score and personal loans are unsecured debts that are very expensive and as a result, reduce the amount that you need to repay on a mortgage. Using a Borrowing Power Calculator to determine how much amount you can borrow and allow you to understand whether you need to increase your borrowing capacity or not. If you increase your borrowing capacity, it would help you reduce your high interest rate debts. * Reduce excess credit limits- You might want to get rid of all your unused credit cards and cut the limit on any cards to be on a safer side while applying for a loan. The lenders consider any credit cards to be drawn to their full limit. A Credit Card Calculator will help you determine the amount of debt you carry while allowing you to figure out ways of reducing excess credit. * Choose the right loan- While looking up for a loan for your property, you must take time to consider the features of the loan you are borrowing. It is of utmost importance that the loan you borrow meets all your borrowing needs and offers you the interest rate that you can manage to pay easily. Experienced Mortgage Brokers in Australia will inform you about various types of loans that you may borrow with regard to your borrowing and repayment capacity. * Organize your financial affairs- When applying for a mortgage, keeping all your financial records organized and in place, including your tax returns and having updated information on your income will save you time and efforts. * Save money for your deposit- The more money you save for your deposit, the more will be your borrowing capacity. While offering you the loan, the lenders look for a consistent saving record; this implies that you can afford to pay regular mortgage repayments. You might also want to cut down your expenses such as your rent, utility bills, childcare costs, etc. This will ultimately help you increase your savings for your deposit. * Split your liabilities- Instead of buying the entire property in your own name, you may consider splitting your expenses on-paper with your partner. For instance, if you prove that your partner can provide for your dependents financially, they may not be counted as your dependents in the application. * Take a longer mortgage term- A comparatively longer mortgage term can reduce your monthly repayments. The longer the loan duration, the lesser will be the monthly repayments. However, this also implies that the total interest you pay over the life of the loan will be higher. If you are shopping around for a mortgage, tools like Borrowing Power Calculator and Credit Card Calculator will of utmost assistance in your loan borrowing process. Getting associated with renowned and experienced Mortgage Brokers in Australia will make the loan borrowing process much easier and favorable for you. For personalized assistance, you may contact lending specialists from Your Finance Adviser. With the wide availability of mortgage broker in the country, borrowing a Home Loan in Australia has become a difficult choice to make. However, getting in touch with the right mortgage broker for a loan for your property will help you in Home Loan Comparison thereby making you make a better decision in terms of interest rate and the process of documentation. Not every home loan will meet your needs- Home loans need to be tailored to the varied needs of different sets of people. Companies like Your Finance Adviser have expanded their portfolio of home loan in Australia basis the needs of the borrowers, whether they are planning to buy their first home, renovate their existing home or refinance their existing mortgage. The question is to identify which type of loan best suits the needs of the borrower. To establish this, it is advised that you begin the process of loan borrowing with the help of a professional mortgage broker in order to avoid any losses and avail the best home loan deal. Home Loan Comparison- In order to identify a lower interest rate for your property, the process of home loan comparison is inevitable. You may also do the comparison on your own, however, in such a case, there will be chances that you miss out on the decisive terms and conditions put forward by the lenders. Hence, it is better advised that you consider getting in touch with a mortgage broker for the process of borrowing a loan. A Home loan expert will introduce you to various renowned lenders and find you the loan that meets your needs in every possible way. Switching your lenders- Being loyal to your lender is not always rewarding. Sticking to the same lender for a long time could be one of the reasons that you would miss the best offers in the industry. In such situations, if you feel that your current home loan is not worth the amount that you are paying, you must consult with experts from Your Finance Adviser. You must not overpay your lenders, and should stop and change your lender if you realize that you are. You professional mortgage broker will manage all the paperwork on your behalf and let you save all the time and efforts that you would have rather invested in meeting with various lenders and engaging in the process of documentation. After having complete knowledge of the benefits of getting in touch with professionals from Your Finance Adviser for the process of loan borrowing, you should wait no more. Contact the experts from our team and let them guide you through the process of borrowing the loan, right from the submission of you application to the moment when you have actually moved into your new home. If you are an entrepreneur of a new business startup or the manager of a Small to Medium Business Enterprise, you will certainly land up struggling to manage your team every day. The issues like limited funds, or unsuitable office infrastructure, among many others, need smart solutions. While the concept of recruiting virtually is still repellent for many old-school business organizations, the reality is that Virtual Assistant Australia are proved more productive in comparison with the in-office employees. Employees who work remotely tend to provide a fast, efficient and cost-effective means to move the business forward. All you need to do is manage your virtual team successfully. The Virtual team brings you a few tips to on-board effective offshore virtual assistants for your organization. If you have just started building your virtual team, you must work on the roots of your team and focus on making the core strong. As your business grows, you will have to add in more members to your team which would ultimately involve string recruitment strategies. When you don’t have the employees of your team sitting beside you, you cannot afford your recruitment to go wrong. As a manager, you must focus on looking for adaptable personnel, who are willing to collaborate with multiple partners on various platforms. In the first place, you must ensure that your outsourced sales team is as willing to work flexibly as you are. Certain positions can be easily lent to remote working. These will, however, vary according to the needs of your business but are likely to include the jobs of Bookkeeping, Web Designing, Lead Generation, Digital Marketing, Graphic Designing, Accounting services, IT Support, Back office Processing, Customer Support, etc. The Virtual Team provides all these services and many more covering multiple industries of Telecommunication, Hospitality, Finance, Transport and Logistics, Healthcare, and Information Technology. Nowadays, finding Virtual Assistant Australia to build your team is not a task as difficult as it seems to be. The question arises when you need to trust the person for getting the job done. The simple answer to this is to use a reliable virtual marketplace where your off-shore employees will get a genuine workplace with complete guidance and genuine acknowledgment for their performance. The Virtual Team offers all that your offshore virtual assistants may need to deliver effective results for your business. VT specializes in providing dedicated, cost-effective, highly skilled and qualified professionals, working remotely from India and trained by VT’s head office in Australia. Once you have on-boarded your off-shore employees, you need to make sure that you have delivered them all the information that they may need to begin with the work assigned to them. You need to make sure that there is no communication gap between any of your employees. You may access options like hold online conference calls via Skype, Goggle+, Hangouts, etc. can be incredibly useful when it comes to setting the tone. While you sit away from your team, it is important that you encourage them with proper guidance and recognition in order to motivate them and keep them going. The Virtual Team helps bridge the communication gap by guiding your virtual employees towards the achievement of your organizational goals and provides them with the required acknowledgment and recognition eliminating your burden of effective communication. Managing a virtual team is more beneficial than it is demanding. All you need is to get in touch with the Virtual Team and be ready to get the tasks done without any hurdles. 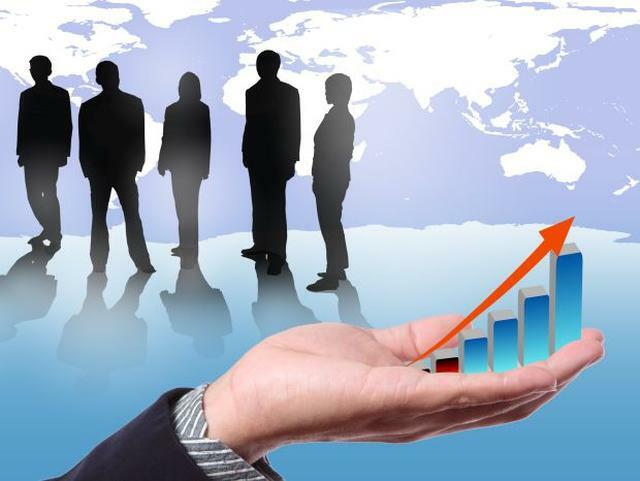 The Virtual Team will take care of all the required processes of you outsourced sales team including the recruitment of your virtual employees, their documentation and joining formalities, to providing infrastructure and guiding them towards the accomplishment of your organizational goals. Preparing for your first home loan? Don’t worry, Your Finance Advisor is here to guide you through the way. If you are wondering how much money should you save for your deposit before you submit your application for the approval of your loan, then you are at the right doorstep. The lending specialists from Your Finance Advisor assist you in the process of loan borrowing right from the time when you submit your loan application to the time you buy the house of your dreams. Ideally, lenders expect you to submit a 20% deposit. For instance, if you are looking for a property worth $5,00,000, you should have a deposit of $1,00,000 ready with you. The money that you have with you as your savings will not only fund your initial contribution to the purchase price of the property but will also be used to pay the stamp duty, as well as any other fees and charges that may be associated with your purchase of the home. However, 20% amount of the deposit is not fixed. Many lenders take a significantly lower deposit in comparison with the others. A number of lenders would also lend up to 90% or 95% of the value of your desired property. However, this would be possible only if you manage to meet their specific lending criteria. On the other hand, if your deposit is less than 20% of the value of your home, you would have to pay Lender’s Mortgage Insurance or LMI. Unlike other insurances that protect you, Lender’s Mortgage Insurance safeguards the lender in case you fail to repay the loan amount. LMI is usually a one-off payment made at the time of loan settlement. The bigger your deposit amount, the lesser LMI you would pay. However, if you have a parent or sibling who would not be concerned with using the equity in their home to guarantee your loan, you can avoid paying the LMI with their support. Such types of loans are commonly referred to as Guarantor Home Loans. Many lenders allow a family member of the borrower to help you buy your own home using additional security that belongs to them. The family member who provides such assistance is referred to as a ‘guarantor’. A guarantor is linked to the loan by a guarantee. This guarantee can be released and the guarantor’s responsibility could be stopped without the guarantor home loans being paid in full. However, in order to use a guarantor, you must be able to service the entire loan on your income. Irrespective of whether you have someone to be a guarantor to your loan or not, when it comes to buying a home, you must speak to your mortgage broker in the first place. A lending specialist will help you navigate the home buying process and work out on how much you may be able to borrow. A mortgage broker also helps you understand how much of a deposit you may need in order to buy the property of your dreams using tools like Home loan calculators. To gain independence on the required deposit amount, you may also access home loan calculators from Your Finance Advisor and check the minimum amount of deposit for yourself.